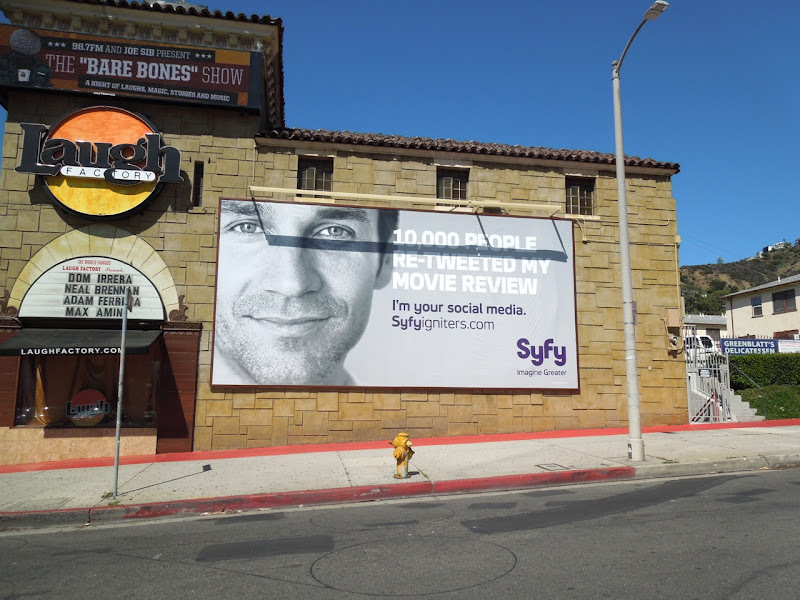 In a creative town like Hollywood it's no surprise that a cable channel like Syfy would try to promote the merits of its audience to potential advertisers and media buyers. 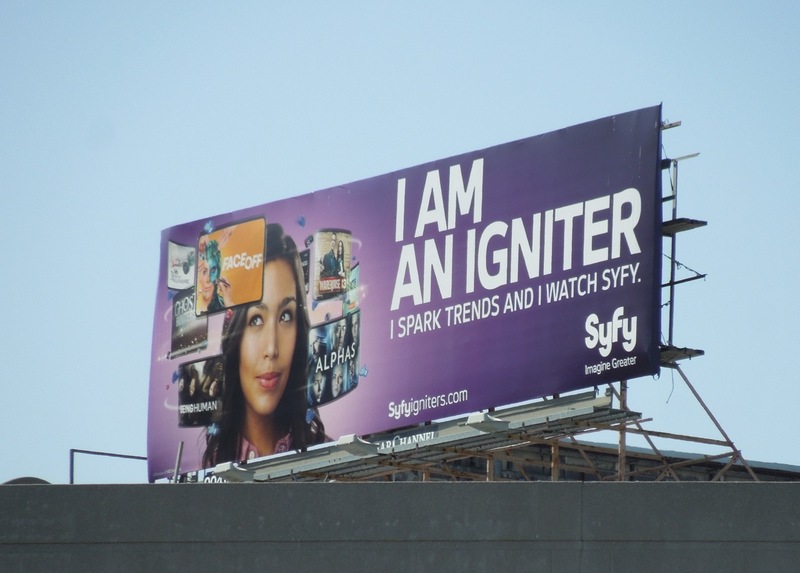 It seems the home of shows like Warehouse 13, Defiance, Ghost Hunters and Face Off (to name but a few) has viewers, aka 'Igniters', who are super influential consumers and savvy social media users. 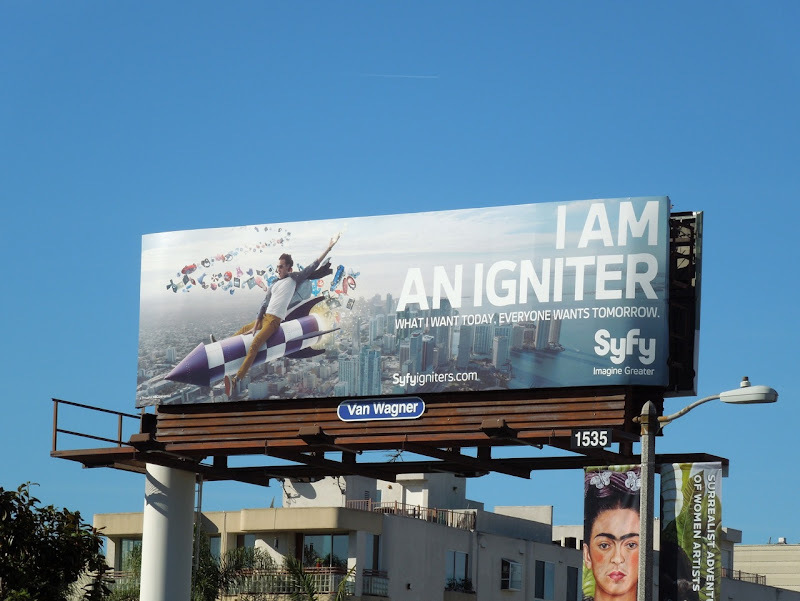 They launched their initiative in advance of their 2012 season with the 'I am an Igniter' rocket creative (spied along Beverly Boulevard in January 2012) and followed up with an amended creative approach putting faces to the Igniters name, like the purple 'I spark trends' creative (spotted along San Vicente Boulevard in May 2012). 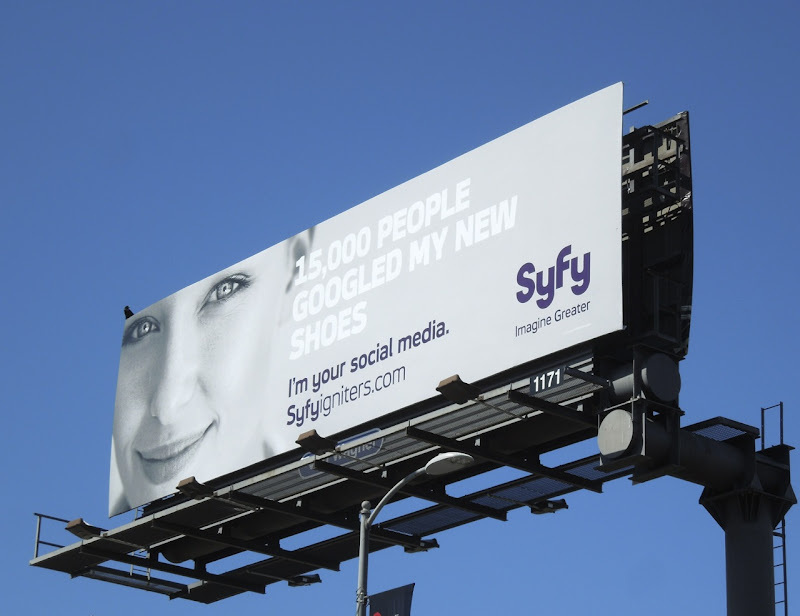 This latest stylish mono campaign highlighting Syfy viewers social media influence was spotted around the streets of L.A., along Sunset Boulevard and Olympic Boulevard, from April 16 to April 27, 2013. 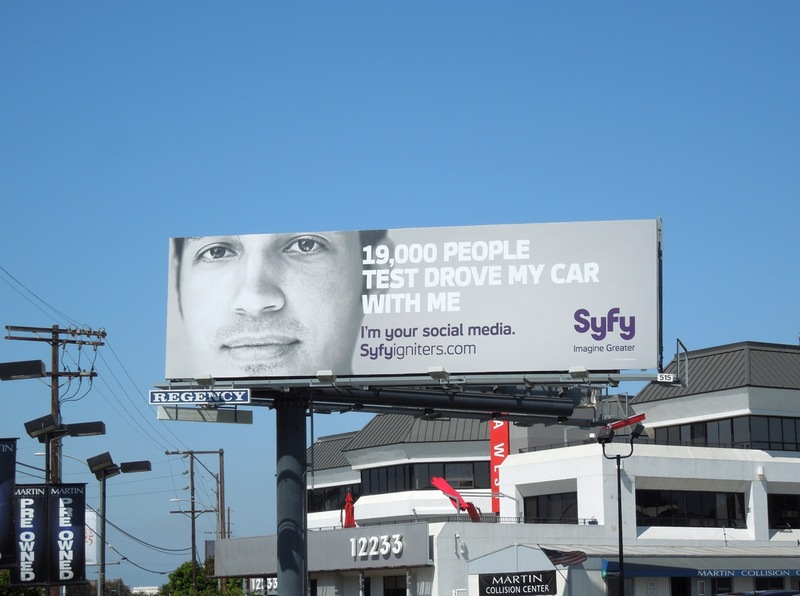 If you're a fan of the science fiction and fantasy genre channel, be sure to check out these Syfy TV show billboards. 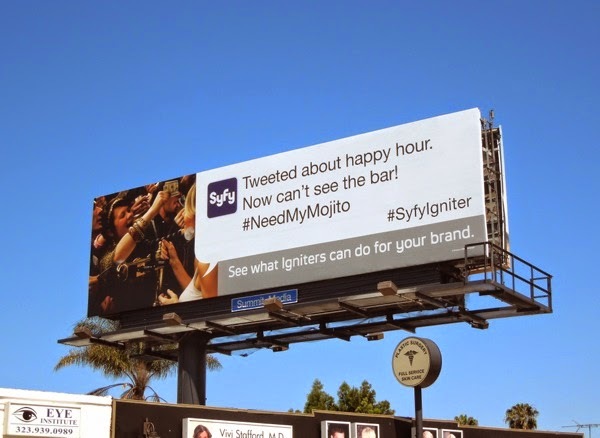 UPDATED: Syfy continues to use outdoor advertising to engage potential advertisers with its Igniters initiative. 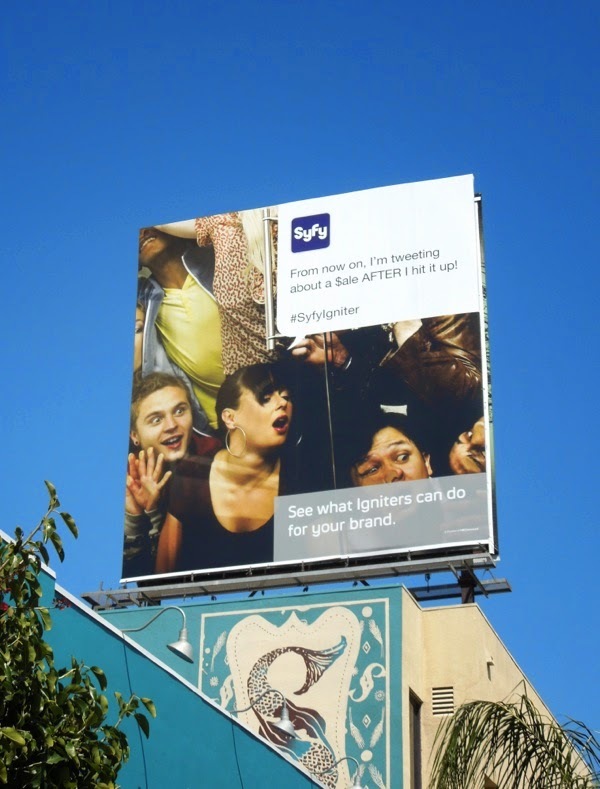 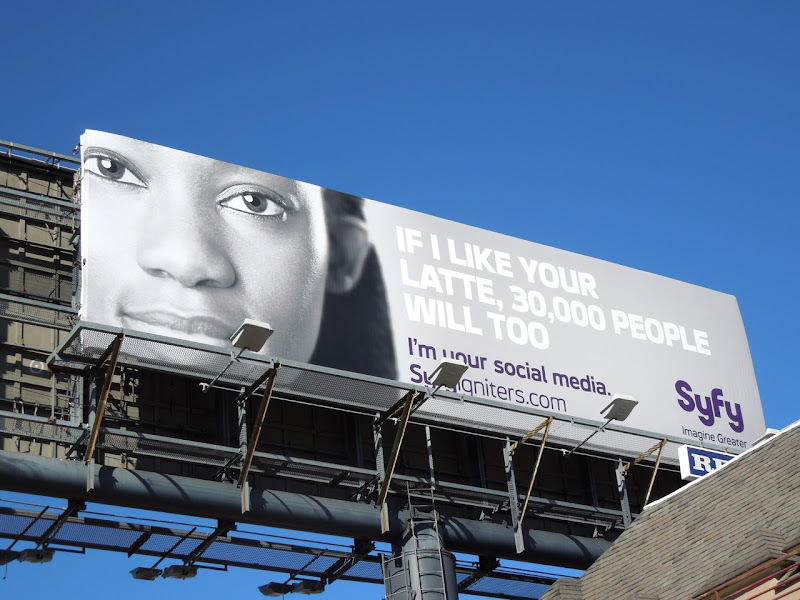 Here are two new creatives from the 2014 ad campaign, highlighting the social media influence of their audience, snapped along Beverly Boulevard and Sunset Boulevard on April 14 and April 21, 2014, respectively. 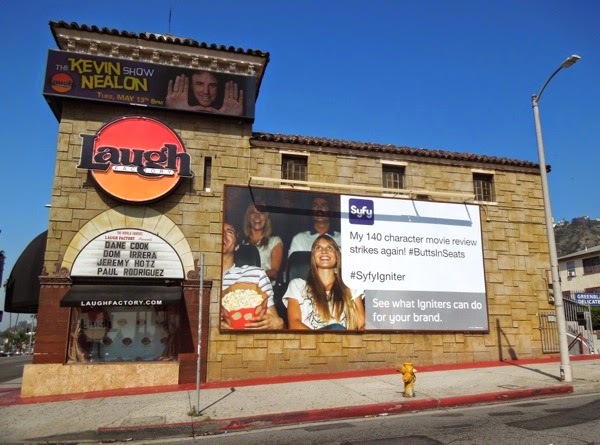 UPDATED: And here's a third new 'happy hour' creative snapped along San Vicente Boulevard on April 28, 2014.